http://www.line-stickers.com/ – B1A4 Special Line Sticker | Friend “LINE FRIENDS” and get B1A4 stickers for FREE! 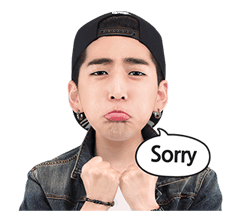 Meet Jinyoung, CNU, Sandeul, Baro, and Gongchan’s cute stickers on LINE! Available till Oct. 16, 2014. Publisher : WM Entertainment lnc.